Explore the meaning and context of the Gospel for each coming Sunday. This group meets each Wednesday at 10:00 am in the Parish Library throughout the year, except during most holiday weeks. Open format – drop in any weeks that you are available. For more information contact Tricia at 505-975-4180. 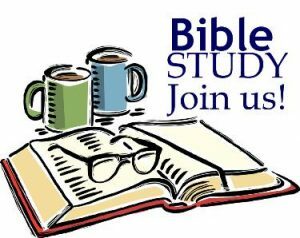 A more in-depth Bible Study is offered bimonthly, twice weekly, allowing participants the option of attending either Tuesday mornings at 10:00 am or at a repeat session, Thursday evenings at 7:00 pm. Each of these groups meets in the Chapel. Currently, the groups are studying Church of the Holy Spirit written by Stephen Binz.